Clarification of the structure of kidneys of reptiles and monotremes. The marker is just visible here at the bottom of the left side of the staircase. Location. 49° 47.993′ N, 9° 55.77′ E. Marker is in Würzburg, Bavaria. 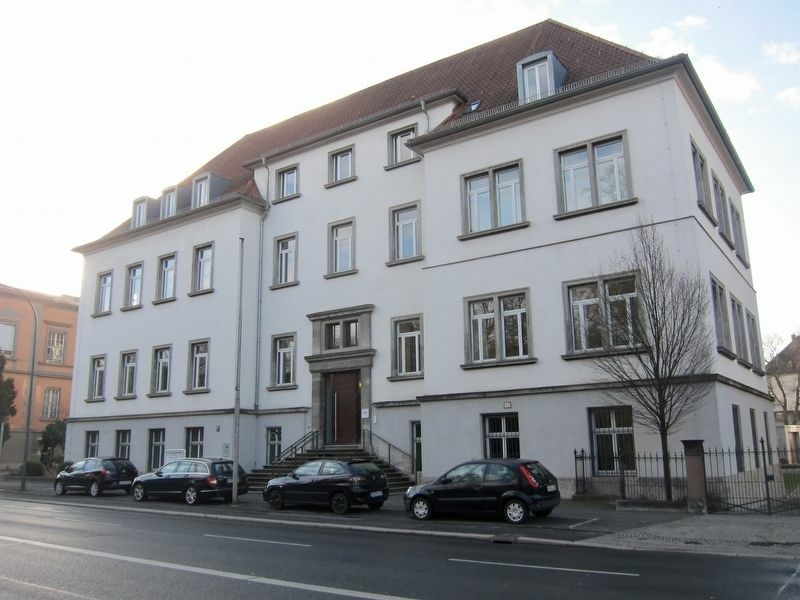 Marker is at the intersection of Röntgenring and Koellikerstraße, on the right when traveling east on Röntgenring. Touch for map. Marker is at or near this postal address: Röntgenring 10, Würzburg, Bavaria 97070, Germany. Touch for directions. Other nearby markers. At least 8 other markers are within walking distance of this marker. Eduard Buchner (about 90 meters away, measured in a direct line); Wilhelm Röntgen (about 180 meters away); Hermann Müller-Thurgau (approx. 0.2 kilometers away); Historicher Gedenkpunkt / A Place for Historical Contemplation (approx. 0.3 kilometers away); Julius von Sachs (approx. 0.4 kilometers away); Friedrich Daniel von Recklinghausen (approx. 0.4 kilometers away); Site of Former Manor House (approx. 0.4 kilometers away); Rudolf Virchow (approx. 0.4 kilometers away). Touch for a list and map of all markers in Würzburg. More. 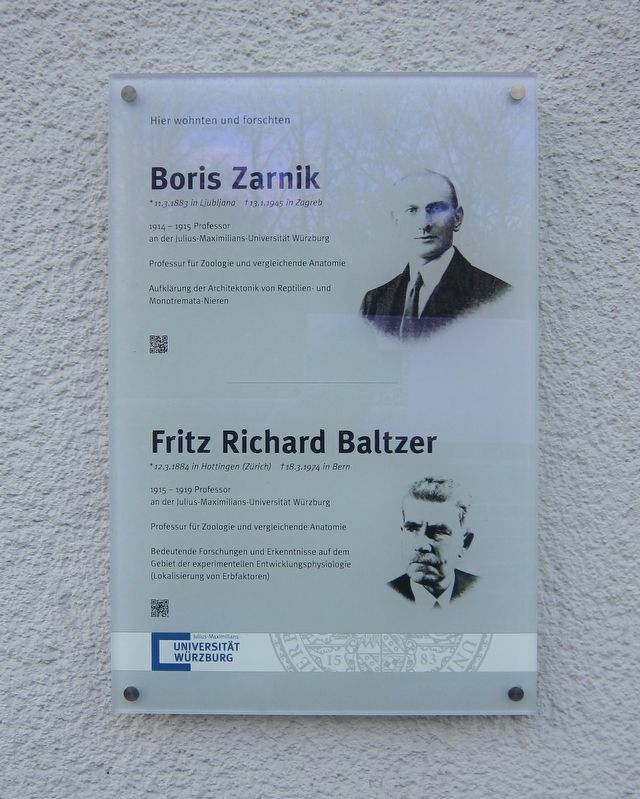 Search the internet for Boris Zarnik, Fritz Richard Baltzer. Credits. This page was last revised on March 25, 2019. This page originally submitted on March 25, 2019, by Andrew Ruppenstein of Sacramento, California. This page has been viewed 41 times since then. Photos: 1, 2. submitted on March 25, 2019, by Andrew Ruppenstein of Sacramento, California.